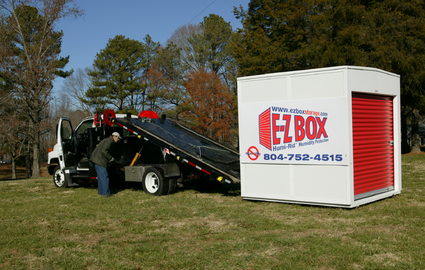 Rent your convenient portable storage units from E-Z Box for a fast, easy and safe portable storage solution in Metropolitan Richmond, Virginia, Wilmington, NC. We bring storage containers to you and make moving simple. Our portable self storage boxes are like no other as these are made from durable and high quality materials to ensure the security of your belongings while they are stored or in transit. 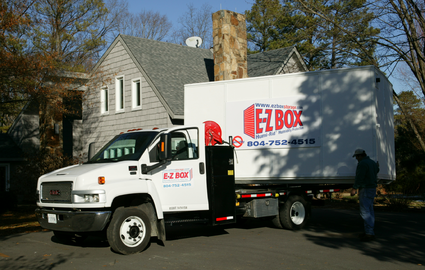 When you rent a portable unit from E-Z Box, you don't have to deal with the hassle of renting moving trucks and our low to the ground door makes it easier to walk your items inside. Our mobile storage units have a slightly pitched roof to ensure that water and snow fall off the roof fast, meaning no leaks. E-Z Box is also fully insulated to keep your stuff cooler in summer and warmer in winter. We offer Humi-Rid™, a humidity control option, to keep your goods safe from the damaging effects of excess moisture. 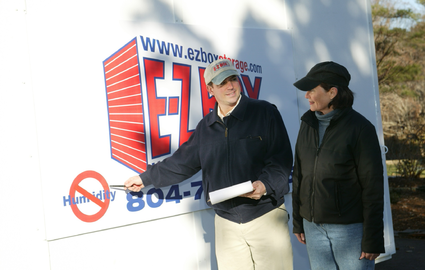 E-Z Box remains the top choice of individuals whenever they are in need of self storage for moving, or a remodeling project. 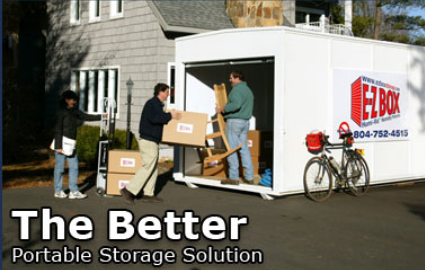 With us, you always get first-rate storage and prompt service. 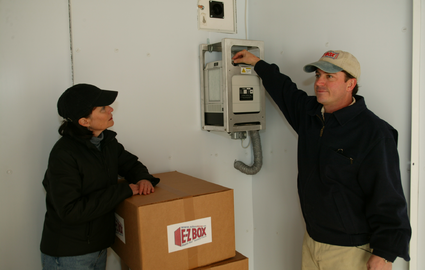 Call E-Z Box to order high quality storage delivered to your site at affordable prices.